A350 XWB News: Air France-KLM postpones again the 25 A350 XWB order signature because there is no agreement with Airbus and Rolls Royce yet. Air France-KLM postpones again the 25 A350 XWB order signature because there is no agreement with Airbus and Rolls Royce yet. 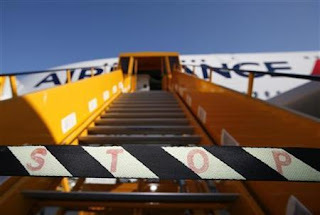 Franco-Dutch carrier Air France-KLM expects to sign a definitive order for a long-delayed purchase of Airbus A350 long-range jets "during 2013", Chief Executive Jean-Cyril Spinetta told a news conference. 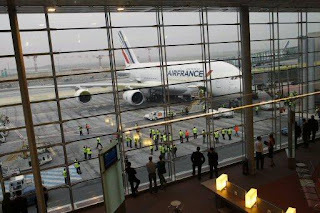 Air France Chief Executive Alexandre de Juniac had said last month that it hoped to complete the purchase by the end of March. "The contract is still being negotiated with Airbus," Spinetta said. "It should be signed during 2013." Air France-KLM placed the provisional $7 billion order for 25 wide-bodied A350-900 passenger jets in September 2011 at the same time as ordering 25 Boeing 787 Dreamliners, a deal which has since been confirmed. 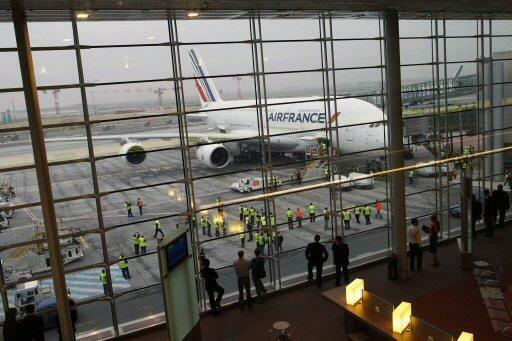 Air France is under discussions with Rolls-Royce on engine maintenance and under discussions with Airbus on A380 claims to compensate for the loss of profits linked to many A380 delays/cancellations due to technical problems. Air France has not selected the engines for the 787 order signed with Boeing.